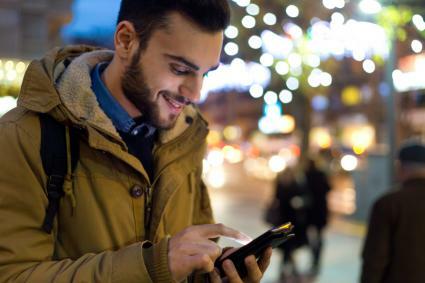 Uber is an urban ride service that was developed into an application which drivers and riders use to connect with each other. Think of it as a high-tech referral service which is making a huge impact on how people get around, and it's right at your fingertips. It doesn't cost anything to sign up with Uber. Your card is only charged when your ride is complete. The Uber app is free to download from iTunes, Google Play, Microsoft Store and Blackberry World. When you open up the app on your mobile device, you will see a GPS map of your general location. You will also see cars on the map which indicate available drivers as well as a pin icon that represents your pickup location. UberX - This budget option has the lowest price and can seat up to four people. UberXL - This is an inexpensive SUV that can seat up to six people. Black Car - Uber's original option is a high-end sedan that seats four. Clicking on each car option shows your current estimated wait time, base fare, and minimum fare as well as charges for minutes and mileage. Fares vary by city and are subject to change, but you'll get current pricing every time you arrange for a ride. As an example, the base rate on UberX in Las Vegas, Nevada is about $2 as of 2016, while the base rate on the same care type is just under $1 in Toledo, Ohio. Move the pin icon to the point where you want to be picked up, or enter the address of your current location. You can watch the Uber cars moving around you in real time to determine which one is closest. Once you've chosen your car, enter the address or the name of the venue that you will be traveling to. Unless you opt to change your payment method, the fair will be charged automatically to the debit or credit card you provided upon signing up once the ride is over. Check the fare quote for an estimated cost of the ride. A quick tap of the request button will send your ride on its way. The app provides an estimated time of arrival and a phone number so you can call or text the driver if necessary. You must cancel within the first five minutes to avoid being charged a fee. If the driver is running more than five minutes late from the estimated arrival time, you can cancel free of charge. The driver's name and photo, as well as the make, model and plate number of the vehicle ensure easy identification of your ride when it arrives. According to the Business Insider which compared Uber's economical 'X' car fares to those of taxis in 21 major cities, Uber is almost always cheaper, especially when you factor in tips. While the going rate for a cab fare tip is 20%, Uber drivers do not collect tips. You can save even more money when using Uber by inviting friends along for the ride. The fare to the same destination can be split equally between all riders. When requesting your ride, select 'Split Fare' at the bottom of the screen. Enter the names or phone numbers of the other riders. Each co-rider will receive a notification to accept a split fare. This must be done during the trip since fares cannot be split once the ride has ended. According to Forbes, UberPool has been a success in cities such as San Francisco, where 50 percent of riders are now using the carpooling service. Uber is planning to extend the service into more cities. According to Uber's website, most drivers are happy to allow the transport of pets as long as they are safely contained in some type of carrier. However, it is up to the individual driver, so the company recommends you contact your driver to make sure pets are accepted as soon as your ride is confirmed. Both Time magazine and the Business Insider caution riders about Uber 's infamous surge pricing. During times of high demand, such as holidays like New Year's Eve or bouts of inclement weather, Uber's prices can drastically increase as much as two to eight times higher. However, when Uber was accused of price gouging during a winter blizzard, the company amended its policy to do away with surge pricing during natural emergencies. Bottom line, always check your fare quote before confirming the ride request. Make sure the driver matches the photo and the car matches the make, model and license plate number provided by the app. Wait inside for your ride; the app will send you notification when your ride has arrived. Send your trip details to a family member or friend. When that person clicks on the link, he or she will have your ETA, the specific route taken, and can even track the car moving along the map until it arrives. Check out Uber's cities page to see if the service is available where you live. Take a friend out for a few drinks; if you both sign-up for an account you can split the cost of the ride or split it between several friends. Uber also offers an economical way to carpool to work, and it can be a big time saver over using public transportation.